Since my nails have been growing I've been taking advantage of them and making sure they are always look in tip top condition. 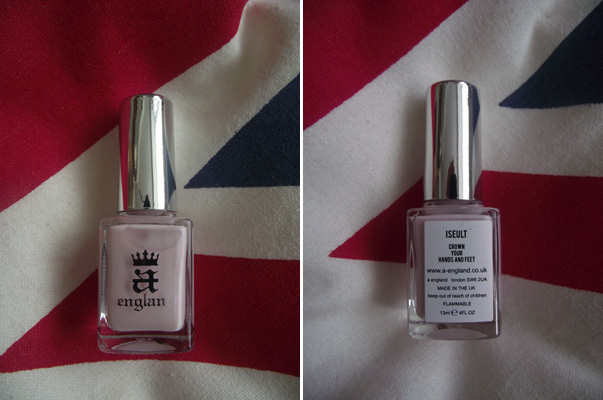 I've been trying some polishes by aengland which are so different, the whole brand and the concept of these polishes are intriguing. The polishes or should I say 'The Mythicals' are named after historical characters. I love the mix of magic and history, these polishes tell a story on your finger tips! The legendary beautiful princess forever linked to Tristam after they mistakenly drank a love potion that left them eternally in love with each other in a powerful romance and tragedy. Iseult is a beautiful opalescent creamy pink with a slight shimmer which is very subtle, I really enjoyed wearing this shade and think every princess should have one! This would be a beautiful shade for a bride to be! The most beautiful and desirable lady in Britan. Spouse of King Arthur and involved in a passionate affair with young Lancelot which is one of the most celebrated legendary love triangle. 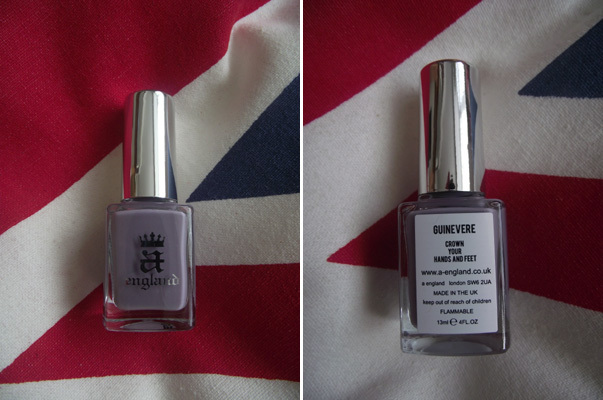 Guinevere is my favourite, a stunning creamy mauve which looks very feminie and elegant on your finger tip. The lily maiden or the lady of shalott. The mysterious romantic and tragic maid who dies of unrequited love for Lancelot and floats lifeless in a barge to Camelot with a lily in her hand. Elaine is described as a smoky violet amethyst, for me she is a deep rich sultry purple which changes in the light. 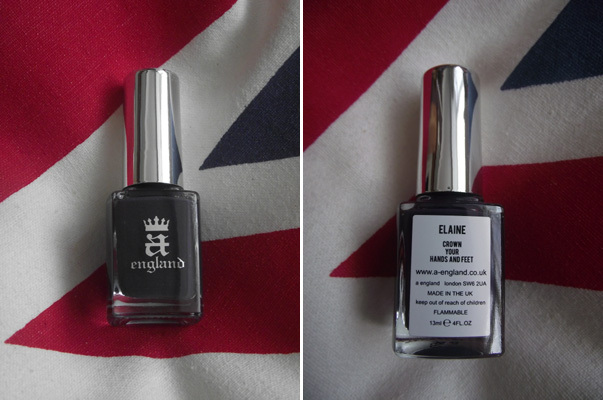 The packaging is very regal and true to the brand which is very charming, the polishes retail at £9.00 each. Oh my! all three shades are pretty...They're just so elegant looking. I love it. From those you show us, I like Elaine. But I also like King Arthur!